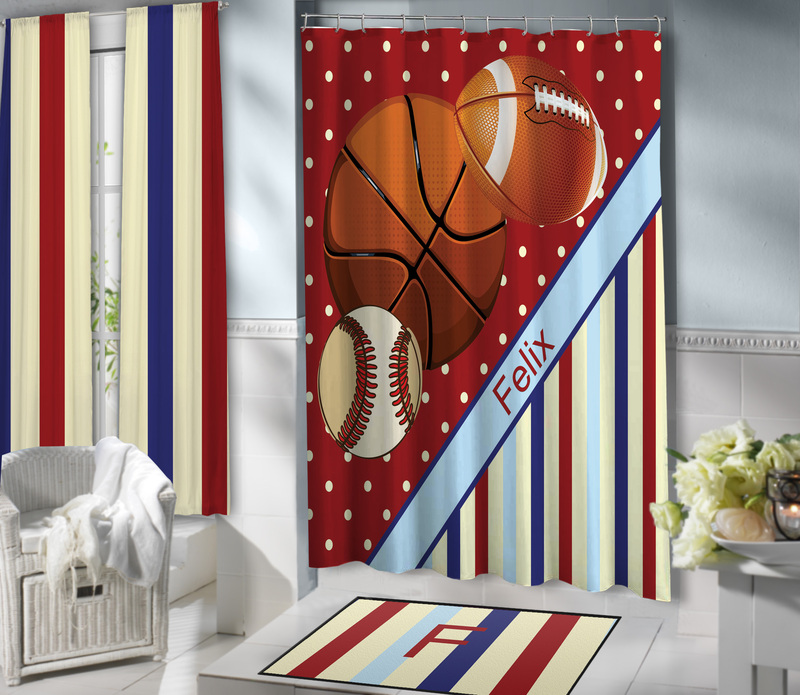 Red Shower Curtain for Boys in Sports theme with Polka Dots and Stripes. 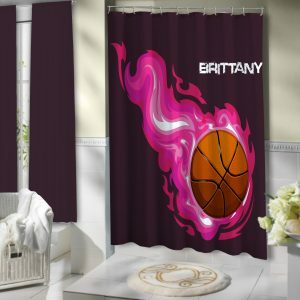 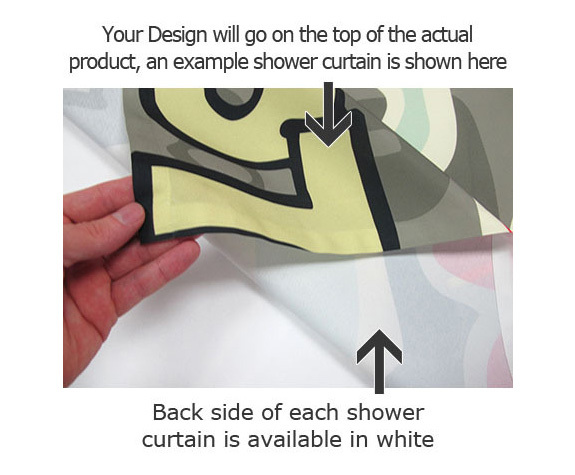 If he prefers Sports and Red over blue this Shower Curtain is for him. 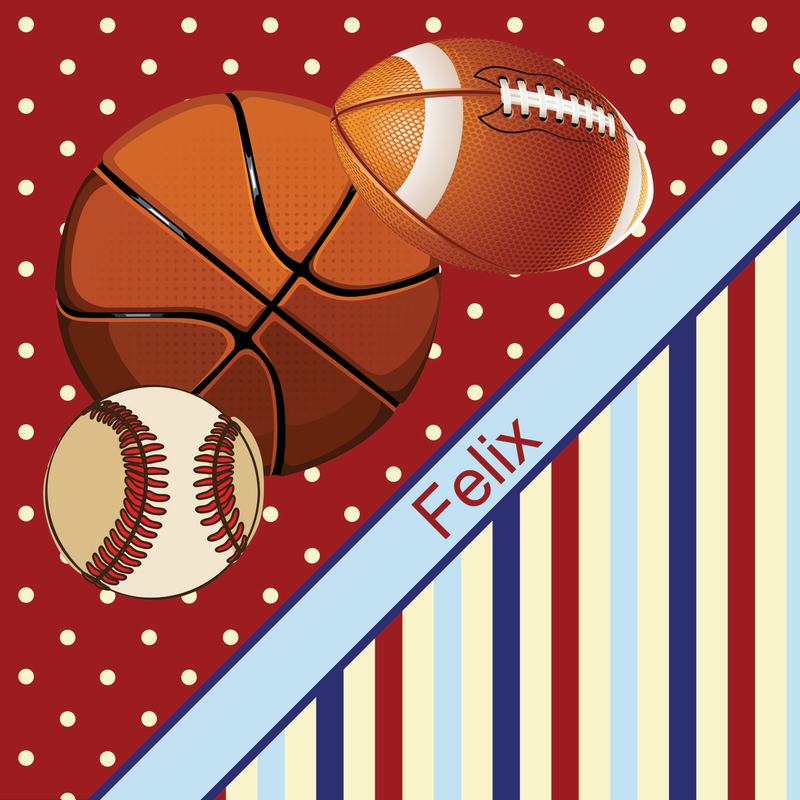 It is filled with a Basketball, Baseball, and Football over Dots as well as traditional stripes in the corner. 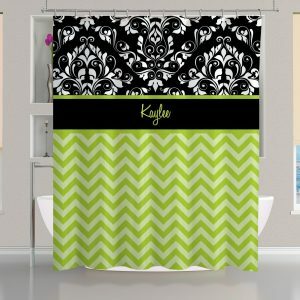 Have it Personalized with his name!